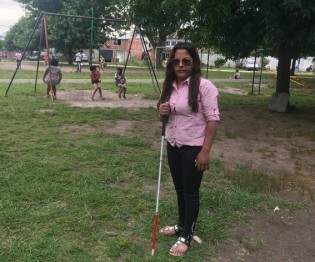 Four months in hospital and a number of operations saved the life of Maria da Penha Fernandes of Brazil, but the rifle shot left her paraplegic at the age of 37. When she returned home, her husband tried to electrocute her in the bathroom. Nearly half of the four billion people who reside in the Asia-Pacific region are women. They comprise two-thirds of the region’s poor, with millions either confined to their homes or pushed into the informal labour market where they work without any safeguards for paltry daily wages. Millions more become victims of trafficking and are forced into prostitution or sexual slavery. Back in the day when the separatist Liberation Tigers of Tamil Eelam (LTTE) ran a de-facto state in Sri Lanka’s Northern Province, alcohol consumption was closely monitored, and sternly frowned upon. Married women in Lebanon who suffer abuse at home remain at the mercy of the country’s multitude of religious courts, because the hard-fought civil law against domestic violence has been stalled for a vote in parliament since the summer. Selina, a resident of a small community in Malaita, the most populous province in the Solomon Islands, watched in horror as a man standing on the road in front of her house tore the clothing off his wife, then beat her and inflicted wounds with a knife. Up to a quarter of women in Europe have experienced domestic violence at some point in their lives, according to the Council of Europe. But despite the widespread nature of the phenomenon, more often than not we ignore it. A short video launched last month in Serbia managed to break this silence. Several brutal, high-profile murders of women in the last few weeks in El Salvador are just the latest reminder that this is one of the countries in the world with the highest number of femicides, the term used to describe the killing of women because they are female. Lynette Edwards (not her real name) grew up watching her mother being beaten by her partner each night. In high school, Edwards began associating with bullies, thinking this would protect her from being abused; but when she turned 16, two male acquaintances raped her. Increasingly the issue of domestic violence in Armenia is a topic for public discussion. Yet greater attention to the issue isn’t yet translating into an expansion of programmes to alleviate suffering and address policy shortcomings.